Learn about the welfare of animals. This course is designed for anyone wishing to work in, or already working in, the animal care industry. Gain an insight into Animal Sentience and Psychology. Learn how to Manage Animal Welfare. Understand the nature and operations of Animal Protection Services, Animal Rescue Services and Animal Health Services. Learn about animal welfare issues associated with a variety of animals including Wildlife, Pets, Farm Animals, Working Animals and Animals used in Sport. This online or correspondence course contains the basis of plant science, and is an introduction to plant physiology and taxonomy, covering general botany including morphology and anatomy. Lessons cover: taxonomic classification of plants; cells and tissues; specific vegetative parts of a plant; flowers and fruit; seed and the developing embryo; photosynthesis and growing plants; respiration; the role of water; movement of water and assimilates through a plant; the effects of growth movements. Comment from one of our Botany students: "Very good. I like your challenging assignments". Marthe. Climate and climate effects shape every aspect of life on planet Earth. This course will provide you with a solid understanding of the principles of climate science, how atmosphere and circulation patterns influence our weather and how climate science can help us tackle the challenges of climate change. Gain a global understanding of weather dynamics and the role that modelling and prediction can play in helping human kind to manage extreme weather events. Learn more about Climate Science and deepen your understanding of this truly global and incredibly important part of the natural world. 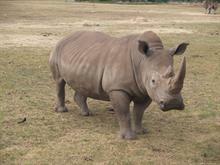 Want to Work in Conservation? Develop a foundation for managing conservation of different environments. This course reviews basic ecology principles and environmental problems such as pollution and land degradation in depth, before considering varying aspects of plant and animal conservation in land and aquatic environments. Jasmine Dungey, Aust - Conservation and Environmental Management course. Investigate complex and amazing interactions between the Earth's many different components. By studying Earth Science you will gain an understanding of the many processes that have sculpted the Earth you see to day and a deeper appreciation of the many environmental challenges that we currently face. Gain an ability to identify and describe the Earth, its structure and explain processes that affect change in the structure and composition of the earth. Learn about rocks and minerals, volcanoes, air movements, meteorology, global weather patterns, the oceans, surface chances (eg. earthquakes and volcanoes), geological time and the complex interactions between all of these elements of earth science. In this course you will learn about the various types of environmental assessments, the role of the environmental scientist, and the legal framework that surrounds the assessment process. You will learn the theory and skills necessary to design, conduct and report on environmental assessments, and then put those skills into practice by conducting a real-life research project. If you haven't studied the Environment before, this is an excellent place to begin. An excellent introduction to environmental studies, providing a broad based grounding in environmental and conservation issues, and a foundation course for higher learning. Study Environmental Waste Management and learn more about domestic waste, industrial waste, nuclear waste and environmentally friendly methods of dealing with waste. Expand your Knowledge and Help Clean Up! Are you interested in a career as an ecologist? This course provides an excellent introduction to the study of ecology. It looks at living organisms, the niches they occupy and the relationships that occur between and within species. It covers the general principles of ecology in a way that is easy to understand and can be applied anywhere on our planet. Student Comment: "I love the course and the course material even though a bit of it seems to be a lot more in depth than I anticipated. I love it just the same as I'm learning lots. I just wish I had more time to do a lot more." Kim Stinton - Australia, studying Introduction to Ecology as part of an Advanced Certificate in Wildlife Management. Want to Work with Animals and Nature? This course has been specifically designed for people working or wishing to work in nature parks and reserves, in managerial or technical positions. 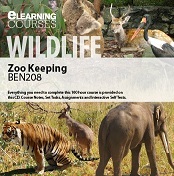 Learn about natural environments, and the management of zoos, wildlife parks and nature reserves. Develop an understanding of the natural environment and basic ecological principles, and learn a variety of skills ranging from basic gardening and nature park design, to erosion control, weed control and tree surgery. The course covers many of the fundamental tasks which people who work in such parks undertake, including weed control, soil management, land rehabilitation, and landscape construction. Learn all of the major aspects of plant ecology here! This is an important foundation study for anyone working with plants. Other study options may be to design your own Diploma or other qualification according to subject choices that suit your needs - see Design Your Own Course for more details. Study alternative construction and find different methods of constructing buildings. Study healthy buildings, mud brick construction, carpentry and more. Diversify and find a way to use alternative methods. 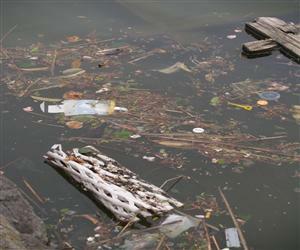 Environmental management is becoming increasingly important. Be part of this fascinating and valuable industry. There is significant degradation of environments throughout the world from practices such as mining, intensive agriculture, urban development, overpopulation and similar. Environmental management is the planning and implementation of actions with the goal of improving the environment. This skill is more relevant now than ever before. This course aims to help the student develop important management skills to address issues in the ever changing and complex environment. Study wild animals and caring for their health and welfare. The course consists of six 100 hour modules - Animal Health, Animal Diseases, Animal Behaviour, and Wildlife Management; plus two others. Work with industry experts - our tutors! This fascinating course is studied by distance learning and you can start at any time to suit you. An excellent course for anyone wishing to improve your knowledge of wild animals. The course includes studies of wild animals, including such areas as primates, ornithology, herpetology, marine studies and vertebrate zoology. Improve your job and career prospects - put yourself ahead of other employees or competitors. Learn the fundamentals with this online comprehensive course. Environmental Scientists study the interactions between living and non-living components of the environment and apply scientific techniques to develop and implement plans and advise on policies to protect the environment and natural resources. Learn about physical, chemical and biological components of our environment and how they influence one another. Have the flexibility to select from a wide range of elective topics allowing you to specialise in your area of interest. Explore practical ways to live a more sustainable, environmentally friendly lifestyle. The course is studied by distance learning and you can start at a time to suit you. The course covers animal breeding, marine studies, vertebrate zoology, wildlife management, wildlife conservation and more. This course allows the student to gain a qualification through a combination of study and work experience in environmental management. Intended as CPD, you can select three relevant study modules (to be approved by the school) that best meet your needs. An exciting qualification for anyone looking to develop a career, or with a passion for the environment. This diverse course spans over a range of disciplines - select from our comprehensive list of modules to study your passion. Learn the theoretical and practical aspects of environmental management. Despite huge growth in environmental industries worldwide, many graduates in environmental sciences still find that a job eludes them. Often this is because their studies have not covered the subjects and skills which are in fact providing employment opportunities. This course differs from other undergraduate environmental courses, providing a unique opportunity to develop those "in demand" skills, as well as learning the theory. Introduction to Ecology, Conservation and Environmental Management, Environmental Waste Management, Soil Management, Botany I, Ecotour Management, Project Management, Wildlife Management and Environmental Assessment. can lead to job opportunities, and broaden your knowledge. Study at home with help from our highly experienced tutors. Learn about the environment and the human impact on it. Study animal health and wildlife. A fascinating course for anyone interesting in helping animals and our environment. This course develops understanding of environmental issues, policies and practices, and provides a solid grounding in different aspects of environmental studies. This course may provide the foundation for working in the environmental industry, or a first step towards taking higher qualifications to in Management or Consulting within this industry. As government, business and industry become increasingly aware of their need to operate sustainably, the job market has seen an increase, resulting in a need for experts in this field. This unique course in Environmental Sustainability provides a basis in environmental knowledge and concepts along with the application of sustainability principles, especially in relation to agriculture, water, development and energy. This course is for people working or intending to work in nature parks such as zoos, wildlife parks, national parks, forests and reserves. 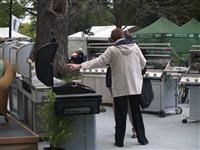 This course has a foundation in horticulture, with specialties in Nature Park management. Learn to become less reliant on the electricity and gas companies and save money through alternative energy sources. This course will equip you with knowledge about electricity, batteries, how to become energy self sufficient and to understand different methods of generating, storing and using electricity, from hydro and solar to wind generators. Explore ways to better manage energy consumption, and how to convert a building’s energy supply to an alternative system. Do you work in the rehabilitation of degraded landscapes or degraded site? Or would you like to? Student Comment: 'I definitely learned a lot from [the course) but it was also beneficial in affirming [and raising my confidence] in what I already knew.' Katrina Merrifield, Masters Conservation Science, NZ, Trees for Rehabilitation course. Study use and application of water conservation measures in different contexts. Improve your capacity to design, implement and asses water management plans and procedures. Water is the most important substance required to sustain life. All living organisms need water. Many need air, and many others can survive without air, replacing it with other gases, but almost none of them can survive without water. Waate is important; and it's proper management is critical to everyone's future!